Call it Pistachio: Did a Huawei rep just leak Android P's nutty name? Recap: Even though we expect the release of Android P next month, Google still hasn’t confirmed what the next OS will be called. Keeping with its history of naming each version after a dessert, most rumors point at Android 9.0 being 'Pistachio Ice Cream.' But it appears they may have been only half right. 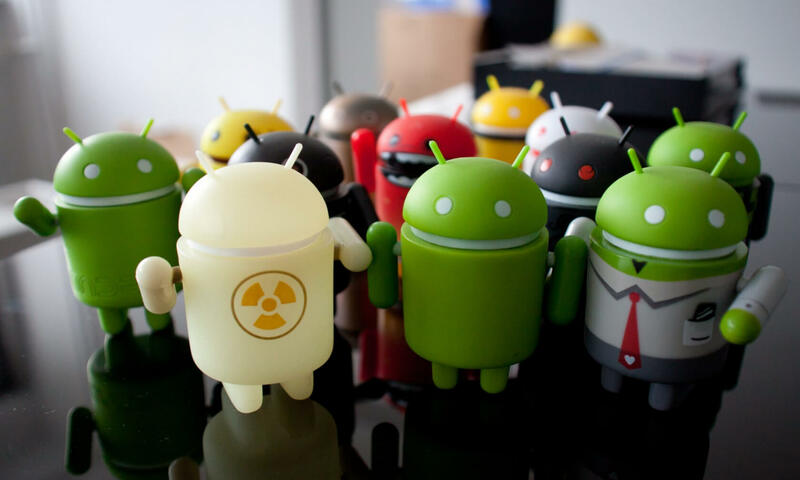 There are question marks over whether Google will use the words ‘Ice Cream’ again in the upcoming OS—2011’s Android 4.0 was called Ice Cream Sandwich, after all. According to a Huawei support rep, Android P won't carry the name of a flavored Ice Cream, but only a type of nut: Pistachio. 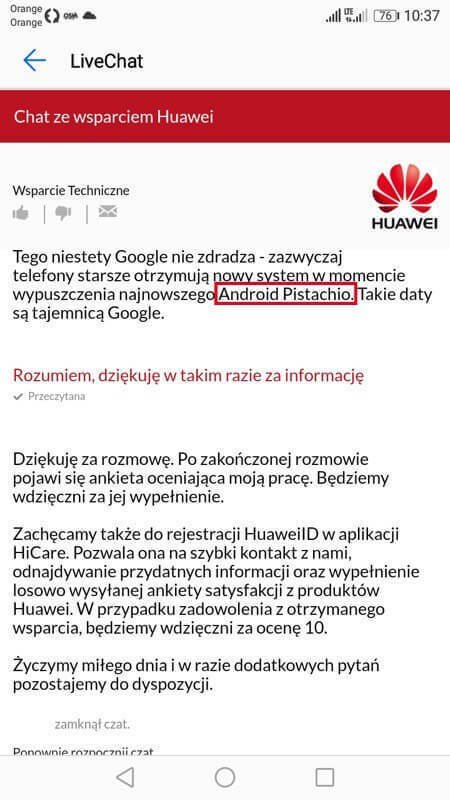 Polish website Tabletowo published screenshots from someone who spoke to a Huawei customer service rep in the country about when their Huawei P9 Lite handset would receive the Oreo update. The representative refers to the next OS as simply Android Pistachio. Google launched the beta version of Android P at its annual I/O developer conference in May without confirming its official name. If you own a compatible device such as the Google Pixel, Sony Xperia XZ2, Nokia 7 Plus, Xiaomi Mi Mix 2S, Oppo R15 Pro, Vivo X21, Essential PH-1, or OnePlus 6, you can try it out here. It won’t be long before we learn for certain what the P in Android P stands for. Some believe that Google might go with either Pie, Pudding, Pineapple, Peppermint, Peanut butter, or Praline, though Popsicle is also proving a popular guess.